This product has been discontinued by the manufacturer on Feb 28, 2017. Where did Nick & Johnny Come From? 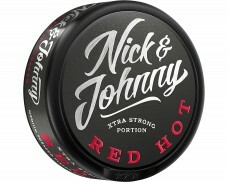 Today, Nick & Johnny is a popular brand of snus, especially in Norway. But the brand doesn’t originate with a generation of tobacco traders from the 1800s, as you might expect from a popular snus brand. 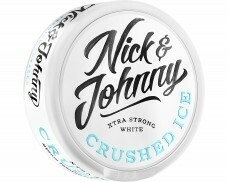 So it might come as a surprise that Nick & Johnny was only started in 2006. Tobacco giant Swedish Match is known for meeting consumer demands and being great at predicting what Snus enthusiasts will love – Nick & Johnny is a prime example of this. When Swedish Match launched the brand to the Norwegian market in 2006, they had a clear goal: leave behind the antiquated design standards and indistinguishable flavors. The brand quickly gathered market share – which doesn’t come as a surprise, because the brand clearly stands out. The name doesn’t sound like an antiquated Swedish family. 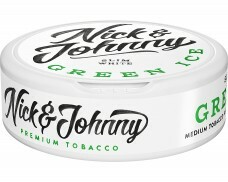 The cans look modern and the flavors are so unusual that the brand’s snus is sometimes described as a „love it or leave it snus“. Fun Fact: No one has been able to find out who Nick or Johnny are. Are they mysterious fellows hiding from all publicity who were sick of ordinary snus? Or are they a deliberate creation of Swedish Match’s marketing department? The world may never know. What are the Controversial Flavors? 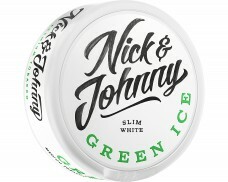 As mentioned above, Nick & Johnny snus isn’t for everyone. The first reason for that is the high nicotine content. Adding about 40% more nicotine than usual, this snus packs a punch and delivers a nicotine rush many might find too intense. On the other side, a lot of nicotine is just right for others who have more experience. 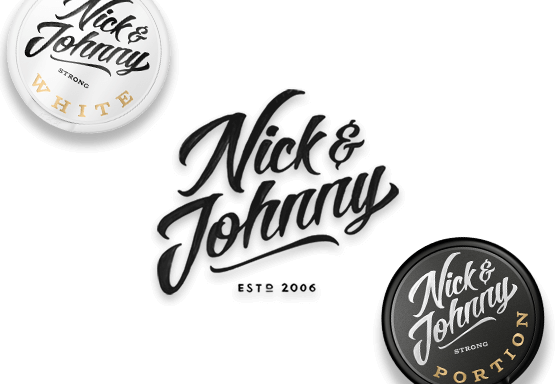 Above all, Nick & Johnny stands for wild and controversial taste experiences. 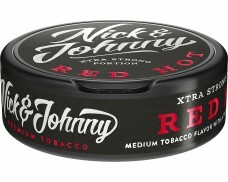 For example, try Nick & Johnny Americana Xtra Strong Portion: While the high nicotine content might already deter some, the spicy-sweet combination of wintergreen, cherry and cinnamon reminds some snusers of Dr. Pepper and root beer, making it a highly exceptional flavor experience.